A Polk County woman brought a small clear plastic bag to her doctor’s office and asked for it to be tested because she was “scared” what smoking it was doing to her and wanted the doctor to “check her well-being,” according to an arrest report. The woman was 73. The bag contained methamphetamine. 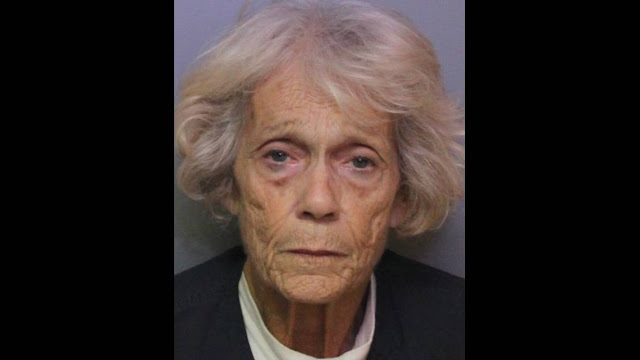 According to the Polk County Sheriff’s Office, Barbara Lee Ray went to the Complete Care Family Medicine Associates office in Fort Meade on Nov. 5 and pulled three items from inside her green- and orange-colored handbag: a small clear plastic bag containing a white crystal-like substance; a small plastic container also containing a white crystal-like substance; and an empty prescription bottle with the name “Barbara Ray” affixed via prescription label, the arrest affidavit read. The small bag and plastic container both tested positive for meth.